Is this situation familiar to you? You’re in a hurry to get to a meeting and a colleague urgently requires your signature to complete some important business or send a quote out on time? Flexibility is becoming more important every day. 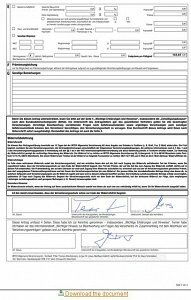 We developed ‘signoSign/mobile’ to make sure that you can react at any time from anywhere. 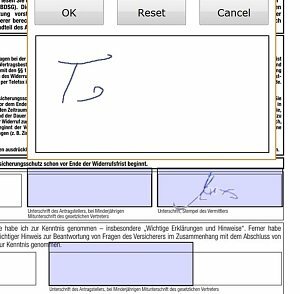 Now you can simply use your iPhone, iPad or Android tablet as a signature pad to keep your work processes fast and efficient! SignoSign/mobile works with any conventional browser, for example, Internet Explorer, Firefox, Safari, Chrome or Netscape, without the need to install any additional software. No additional device drivers are required, and you can sign directly on the display. 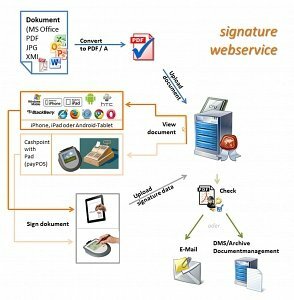 SignoSign/mobile supports all functions, and your signature is inserted into the desired PDF document directly via our signature server. This enables you to complete your work in the shortest time possible from any location. Security is indispensable, even when you’re on the go: All PDF security settings are supported by our signature server (see Adobe language specification 5, vers. 1.6. ).